Amazing story, awesome cutscenes, phenomenal atmosphere, compelling missions, incredible NPCs… The Secret World definitely has a lot of good things going for it. It is an MMO in a class by itself, unlike so many of the MMOs we’re all used to. But that last positive is also a negative: There are some former players who never got far enough into the game to really experience all it has to offer. Some of the unfamiliar aspects of the game were too unfamiliar to get used to, and some things were just plain difficult (Ak’abs, anyone?). The learning curve was steep enough to put many players off, players who might otherwise have loved the setting and uniqueness of the world. That’s where the newly released “Enhanced Player Experience” comes to the rescue. I sat down with Lead Designer Romain Amiel and Communications Manager Tor Egil Andersen to talk about these quality-of-life improvements and get a few behind-the-scenes details about this patch. Of course, you know I had to ask about Issue #11 and beyond as well! If you’re like me, you’ve been wondering who would take over the game director position now that Joel Bylos has vacated it. Personally, I’ve even been a little worried that someone new who does not have a deep understanding of the uniqueness and vision of TSW would be brought in. So I asked Amiel who would be filling the spot. The answer: no one. Amiel explained that the vision and direction of the game was already discussed as a trio; while Bylos will certainly be missed, the other two (including himself) will carry on the direction of the game. Amiel also noted that he and Bylos had already mapped out the direction of the game for years to come and even have contingency plans if certain features don’t quite work out. What kind of plans? Not unexpectedly, Amiel wouldn’t answer that! An interesting tidbit to introduce the Enhanced Player Experience is the fact that these improvements came directly from Amiel’s personal list of things he wanted done. When the time came to improve things, he grabbed his list and started there! When talking about the changes brought in this new patch, I had a hard time picking where to start; there simply are so many improvements in so many areas! So we’ll just start at the very beginning of your combat career. The first major change in this area for any new character is the fact that you get to start the game with two weapons. Previously, when you went into your faction’s weapon test area, you could experiment with all of the weapons but could select only one to keep; getting your second weapon was a matter of a lucky loot drop or a mission reward. Even then, your second weapon was dependent on what you could find, not what you wanted to actually play! This method put players out on the streets of Kingsmouth at only half strength. Now players will select and keep two different weapons, allowing them to start deck building right away and giving them an immediate power boost. No longer are players totally dependent on the RNG of mobs. To ensure that players have the tools necessary to succeed, the story missions will now give really good loot, most notably weapons. In fact, completing the Transylvania story mission arc will now net players a nightmare-level weapon. Already done? Don’t worry about missing out; all players who completed that mission will be given the value of the weapon in bullion. Additionally, all main missions will now give equipment like talismans and weapons that players can farm to use or deconstruct for crafting materials. Amiel pointed out that earlier in the game the gear will be hybrid in stats for solo play, but as players move through Transylvania, they’ll have choices and will need to start thinking in terms of group dynamics. Another combat change that actually had some players nervous was the AoE nerf. Amiel explained that the nerf came not because people could solo scenarios but because AoE abilities were always meant for three or more mobs and everyone was using them even for single encounters, making the single-target abilities useless. “We want people to use single-target abilities when fighting one or two monsters,” he said, “and AoEs when fighting actual groups of monsters of three or more.” By adjusting the AoEs, those abilities are closer to their intended purpose. To do this, overall AoE damage was reduced a bit. On the plus side, the changes do not affect leech abilities, and AoEs also hit six now instead of five, so there won’t be that one straggler in swarms that doesn’t get damaged. Also Amiel noted that 90% of elites got an actual boost in power. Amiel emphasized that all these changes are to allow casual players the chance to follow the story through Transylvania without bumping into impossible encounters. Nightmare dungeons and lairs were untouched, ensuring that those who seek the challenge of these encounters still get that challenge. 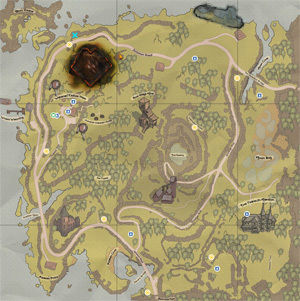 One related change, however, is that the elite/nightmare status of some single missions sprinkled throughout the map — like the Quarry in Blue Mountain — was removed. Instead, these more difficult creatures were added to other areas of the map clearly marked by Filth (much like Lairs are marked with fire). Speaking of the map, you can’t talk about this EPE without mentioning the expanded usefulness of the map! (Fun fact: Bylos wanted to call it EPEEN, for Enhanced Player Elite Enjoyment Nirvana.) Players can now clearly see at a glance where missions (including side ones), vendors, NPCs, dungeons, region transitions, and anima wells are located. Even better, you can turn each one off to allow you to find things by exploration instead. And who isn’t eternally grateful that the death train method of travel has been derailed? Players can now select an anima well anywhere on the map at any time (as long as it has been discovered!) and pay to jump to it instead of using /reset and offing themselves. The one place this is feature not available is in PvP maps. Another change related to finding your way involves sabotage missions. There is a new Unseen achievement players can get for completing these missions without being detected. Players who collect the achievement on every sabotage mission currently in-game will get a meta reward. Talk about increasing the replayability of those missions! One of the best changes is the fact that everyone who has progressed to the appropriate spot in the storyline can now physically travel to Tokyo! Although players who don’t own Issue #9 will not be able to participate in any missions there, they will be able to do the story mission arc up to the point of entering the city, allowing them to wander and explore (and die on) the streets of Kaidan with their very own Aegis device. Even better, players now have to complete only one single scenario in order to earn the certification to go. That’s right, just one! All of this can be done without purchasing either Issue #8 or #9; to advance the story past just entering, however, players will need Issues #9, #10, and the soon-to-come #11. The awesomesauce of TSW is the little things and the attention to details. This next little bit was so cool that it is actually what Andersen started our interview off with! 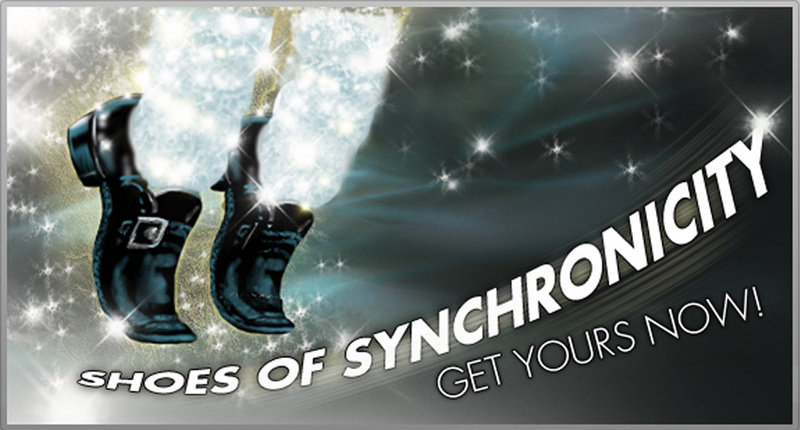 There is something new in the item shop that will make roleplayers and anyone who loves to bust a move with friends rejoice: the shoes of synchronicity. For only 480 Funcom Points or bonus points (with the 20% grandmaster discount), this fluff item will allow groups to dance in sync. If you’ve missed the group performances of Star Wars Galaxies, now is your chance to relive that, albeit in a much spookier venue. It’s Thriller time! Is it real? In The Secret World, rarely is it not. Conspiracies, ancient legends, paranoia, secret societies, chaos — they all swirl together in a cacophony of reality. In Chaos Theory, MJ Guthrie infiltrates this secret world, exposing the truths that lurk beneath the surface. The big question is, can you handle the truth? theschap The only server I can speak for is Arcadia which seems to have a decent amount of people most of the time. But you can always group and play with anyone from any server, making server choice not that big a deal. Also once in game type /chat join Sanctuary to join the Sanctuary channel which has a lot of helpful people. Does anyone know if there’s a mod or setting (which I can’t seem to find) that keeps the dialog text up on the screen until you ‘dismiss’ it? I’ve been playing around with the idea of learning German through games, and it would work much better if the text stayed on screen so I could look up words I don’t recognize. This sounds interesting — looks to be some overall good changes. I’m less worried now about Bylos moving on – though he’ll still be missed! grandhammer I hated the combat when I first played a few years back – but I really liked it this time. I hoped back into the game, after having bought it ages ago, after watching MJ and Justin playing it – I was pleasantly surprised. Jumping is clunky as hell and collision is awful, but the combat was actually fun! The story and atmosphere is still amazing, but I now actually enjoy it. Can’t wait to try this. I’m hoping this will fix my issues with the game, I always hated that I’m a lifetimer and just couldn’t stand the combat. I want to see where the story goes and now Ill be able to get past blue mountain. I’ll probably start a new char and enjoy everything from the beginning. Yay!! I watched MJ and Justin’s stream of this game last night on YouTube and had to buy the game. I’m in the middle of downloading the client and I want to know if there’s a server that a lot of you play on. The world and story look incredible, and at a level that’s rare in MMOs. Mounts meaning motorcycles only. I mention them being “run speed 6”. That is a tiny upgrade. It is more for the look. I’m a PVP’er. I’d love a Templar skinned bike. I’d pay for the bike and the skin. Think about it this way. They need to make money. They have to sell things that people will buy. Zardoz1972 Housing, great. Motorcycles/mounts, hell no. Those would be absolutely game breaking, only I’m talking about ruining the atmosphere rather than P2W. Besides, with the new fast travel system we don’t need more run speed. I agree, BUT the game needs more revenue. Age of Conan has mounts. They are fairly expensive on their Cash Shop. TSW could easily sell motorcycles that are “run speed 6” for 30 USD. Then sell skins and outfits to go with them. Nothing game breaking. Housing is another thing that easily could be sold. Then furniture packs. These are great revenue streams that fit the IP and are not Pay to Win at all.